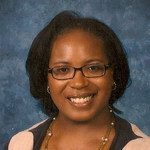 Alicia Jackson is the founder of Jackie Hall Summer Enrichment Academy, a summer program that focuses on providing elementary school students with intensive skills and concept practice in preparation for the next grade level. She has taken her tutoring and teacher mentorship experience and used it to create a program for students to receive a more in-depth understanding of the curriculum. It is a three-week program, made up of small class sizes and two trained educators per classroom. Alicia has dedicated her life to the education of children and their families. In a system that focuses on the academic success of children, she takes a ‘wholistic’ perspective. As an elementary school teacher, mentor teacher, and tutor, she maintains personal relationships with both her students and their families, keeping track of their progress and following them through their educational career until college. With over twenty years of educational experience throughout the elementary and high school profession, she is knowledgeable of the effects of the classroom and home environment on the whole child. Alicia holds a Bachelor of Arts in English Language Arts from the University of California at Santa Barbara, Master of Arts in Educational Psychology from Pepperdine University and a Teaching Credential with an emphasis in Cultural Diversity.